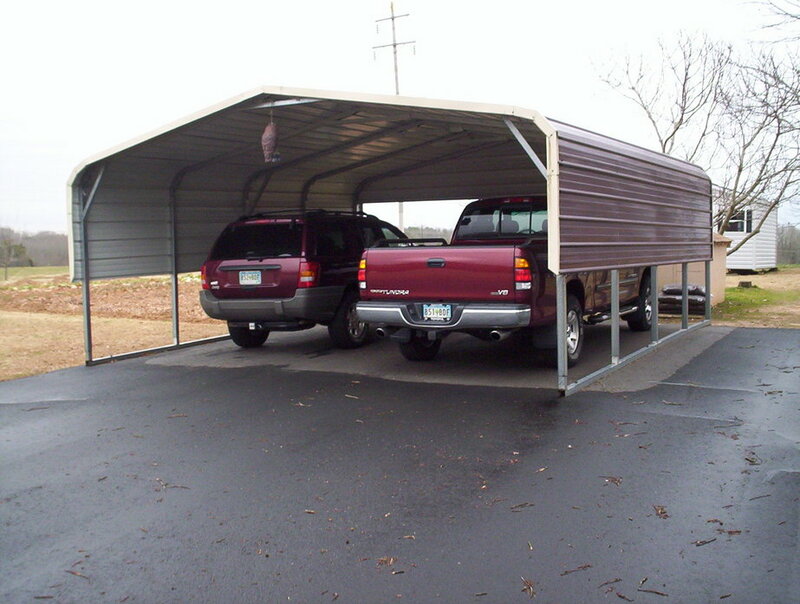 Ohio OH carports are great for protecting your cars, trucks or RVs from rain, snow or any type of weather! Ohio OH carports are also great at storing large farm equipment, animals and even hay! We offer carports, metal garages, metal barns and steel buildings. Our Ohio OH carports are available in many different sizes up to 40' wide and as long as 400' so we can customize a Ohio OH carport to fit your needs! Our Ohio OH carports are available in both 14 ga and 12 ga framing(12 gauge framing comes with a 20 year limited rust through warranty)! Our Ohio OH carports come standard with 29 gauge roofing, but is also available in 26 ga(26 gauge is a commercial grade roofing and is available at an additional cost)! Ohio OH carports are available in 13 different colors to choose from! If your looking for a great carport at a great price then check out our selection today! If you have any questions please call 1-877-662-9060 or email us: carportnation@yahoo.com!